A decade after Ricky Martin and Jennifer Lopez helped Latin music explode into the mainstream, Latina chefs are doing the same for food. From Food Network’s Marcela Valladolid and Evette Rios on ABC’s “The Chew” to uber-restaurateur Michelle Bernstein and cookbook author Lourdes Castro, these senoritas are proving to be the new face in cooking – especially on television. The stereotype of Latina mothers living in the kitchen makes sense to these Latina chefs. Like music, food is a gateway to people learning about another culture, she said. And in this case, one that is expanding. Hispanics are the fastest growing population in the country, accounting for 50 million people, or 1 in 6 Americans. Also fueling the rise of Latina chefs is the fact that Latin cuisine is no longer considered “exotic” or difficult to cook. More people today are comfortable cooking at home with ethnic ingredients such as jalapenos and cilantro, or marinating meats with Cuban mojo or chimichurri. 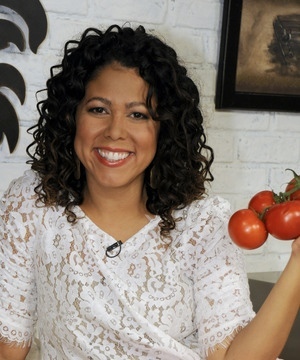 Rios, ABC’s “The Chew” correspondent, is of Puerto Rican descent. She’s a self-taught cook who defines “perfectly Latina” as a woman who can do more than cook: she shows you how to make a cocktail or a dessert, as well.